Royal Bank of Canada (RBC) has developed an app for the Android M Developer Preview that will be used as part of the bank’s RBC Wallet service to let users authenticate themselves using their fingerprint for signing in and making mobile payments. “Included in the Android M Developer Preview are new APIs for Fingerprint and Confirm Credential that enable the use of device credentials (device PIN, fingerprint) to identify and authenticate users in Android apps,” RBC says. The service will let users utilise the same PIN code that locks their phone to access the RBC Wallet and will employ a timeout security mechanism that does not require users to re-enter their PIN to transact within that pre-set timeframe. 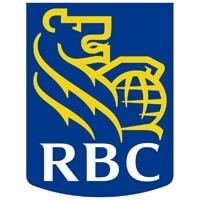 The new service will also increase security, RBC says, as authentication is now tied to the device hardware. “As we further enhance RBC Wallet and our mobile solutions, the security and protection of our client’s personal data is paramount,” says Linda Mantia, executive vice president of digital, payments and cards at RBC.